Absinthe was first created in 1792 by Pierre Ordinaire, a French doctor living in Switzerland. His intention was to deliver the extract of the wormwood plant which had long been known to have powerful healing effects in a handy form. Commercial absinthe production began in 1797 when a man named Major Dubied bought the recipe from Dr. Ordinaire and proceeded to manufacture the spirit with his son-in-law, Henri-Louis Pernod, in Val-de-Travers, Switzerland. The business proved a success and in 1805, Pernod moved production to a larger facility across the border in Pontarlier, France. Although Pernod Fils only distilled some 16 litres of absinthe when it first started, it only took a few short years for production to increase to over 400 litres per day. But it was still nothing compared to what was yet to come. From its humble beginnings as a medicinal elixir, absinthe steadily grew into a global phenomenon. 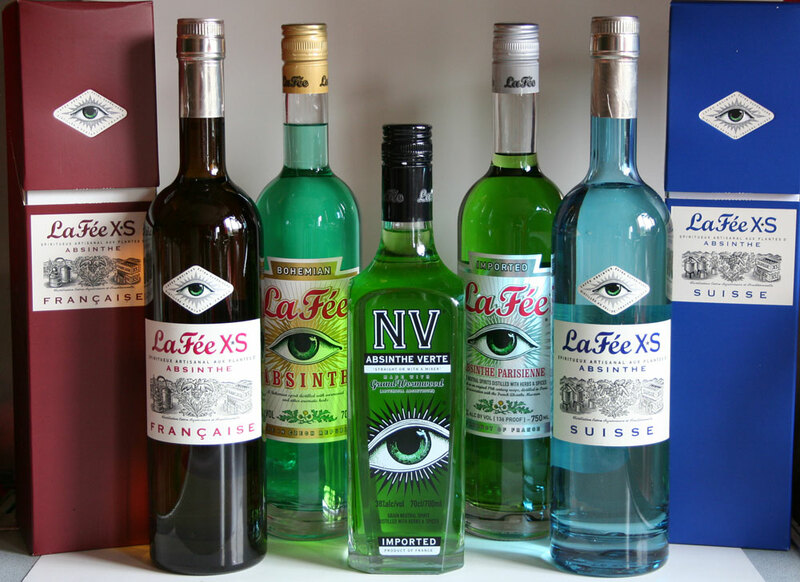 In France, absinthe quickly caught on as the favourite drink of the aristocracy. In the 1850's, the popularity of absinthe skyrocketed as the bohemian crowd embraced the "Green Fairy". Many famous poets, writers and artists of the day routinely reached for a glass in search of inspiration. By the 1870's, the absinthe craze was felt at all levels of the French society; just about everyone was drinking it. Days started with a glass of absinthe and ended with l'heure verte (the late-afternoon "green hour" ) when one or more glasses were drunk as an aperitif before supper. Interestingly, it is believed that it was the 1870's blight in the French vineyards that ignited the spread of absinthe -- once the exclusive drink of the aristocracy -- across the social spectrum. At the time, wine was often drank with water, because water of that day had a high bacterial content and wine was believed to help. When the phylloxera blight caused a hike in the price of wine, working classes turned to cheaper absinthe to "purify" their water. By the end of the nineteenth century, France alone was gulping down over 2 million litres of the liquid per year. In 1910, according to some reports, this had reached a whopping 36 million litres annually. By then, the absinthe fever had crossed the borders of France, and the demand for the drink spawned a successful Europe-wide industry of absinthe distilleries nestled in Swiss valleys and Bohemian forests. Absinthe proved a great leveler in class-conscious Europe. Once beloved by the aristocracy, it moved through society with a freedom that was its own. At cafes from Paris to Prague, absinthe was drunk by artists and labourers, butchers and bankers. Astonishingly for the time, even genteel womenfolk freely enjoyed the elaborate ABSINTHE RITUAL in public.